Hi Everyone! Hope you guys are having a great week so far. 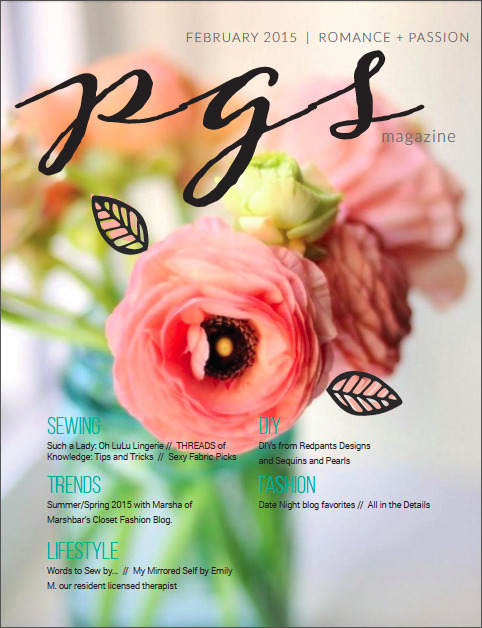 I just wanted to quickly share with you that we (Pretty Girls Sew) have launched the second issue of our online magazine, which can be viewed HERE or HERE. 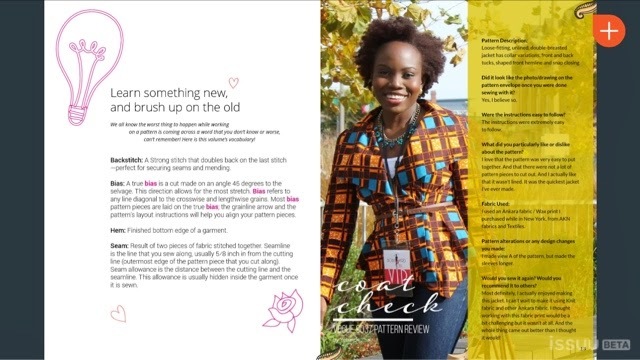 The magazine is full of a lot of goodies, like DIYs, Pattern Reviews, Sew the Looks, Fashion Forecasts/Trends, Blogger features and so on. Below are some of my contributions to the magazine. I'm so proud of everyone that helped put this together. A lot of hard work but we got it done. 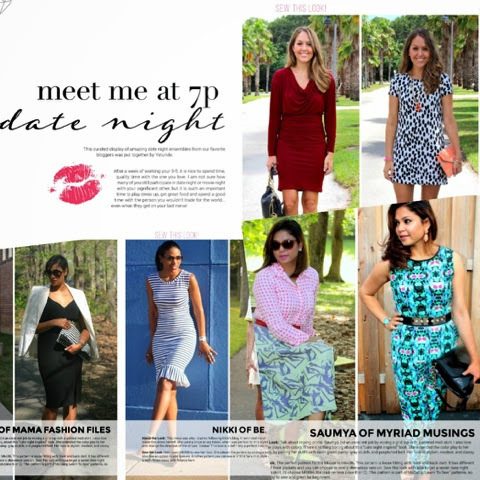 This issue features Cortnie Elizabeth (owner of Love, Cortnie Handbags), ProFIXX Lip Pigment, Ohhh LuLu, and curated fashion forecast from Marshbar’s Closet, and two DIYS from Sequins n Pearls + ReDpants Designs. Here is a pattern review I wrote. 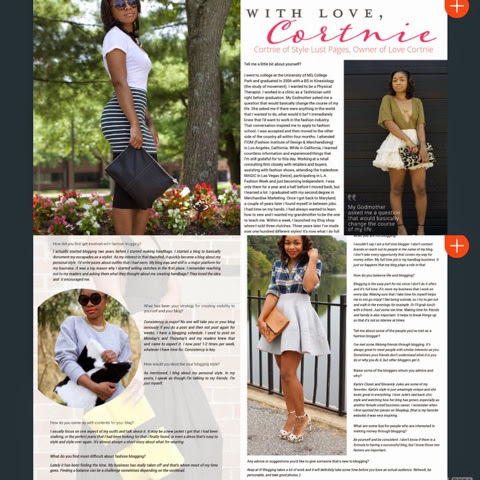 My Interview with Cortnie Elizabeth. 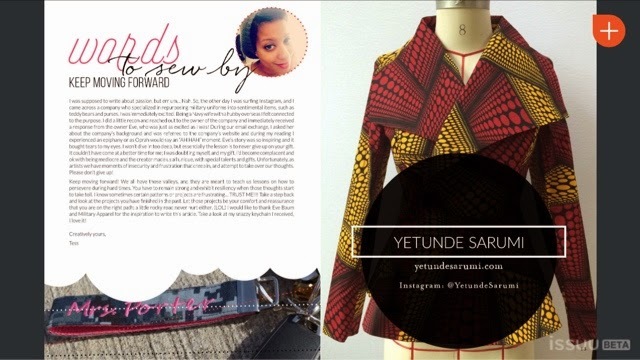 Also included was the first Ad for my recently launched online store, YETUNDE SARUMI. There are more amazing things in the Pretty Girls Sew Magazine, don't forget to check it out HERE or HERE. As always, thanks for reading..